In a previous post, I mentioned missing crackers when I followed the Whole30 eating plan and started making almond flour crackers (click here to view it). When I don’t have the time or inclination to make them, Jilz Crackers are the perfect alternative. 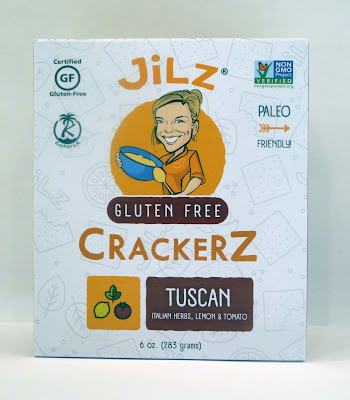 Whole30 compliant, these gluten-free crackers are made from mainly organic ingredients such as tapioca, almond and sunflower seed flours; sesame, chia and flax seed and different seasonings based on the cracker’s flavor. They’re delicious and can be eaten as-is or crushed up and used for breading. Though these crackers are a bit pricey, they’re worth every penny because they’re good for the body and soul!